Warner Bros. Interactive Entertainment and DC Entertainment today announced Batman: Return to Arkham. The new title bundles Batman: Arkham Asylum and Batman: Arkham City, two of the most critically acclaimed video games on the last generation of gaming consoles. 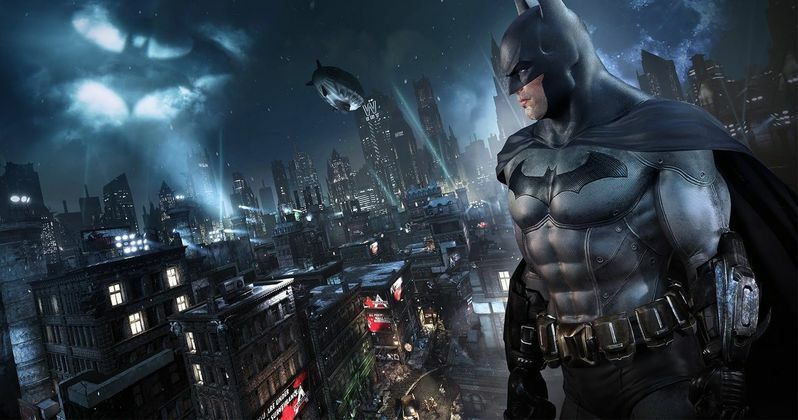 Both are being remastered for PlayStation 4 computer entertainment system and Xbox One using Unreal Engine 4, a first for the award winning Batman: Arkham series. Warner Bros. and DC released the first trailer today, giving fans a first look at this game before it debuts this summer. Remastered by Virtuos, this set offers fans a chance to play the first two Batman: Arkham titles including all Game of the Year edition bonus and downloadable content from both games, now with improved graphics, as well as upgraded models, environments, lighting, effects and shaders. This first look trailer was released through the WB Games UK YouTube page earlier today. Batman: Return to Arkham will be available beginning July 29. Batman: Arkham City is Rocksteady Studios' 2011 follow-up to Batman: Arkham Asylum. The game builds upon the intense, atmospheric foundation of Batman: Arkham Asylum, sending players soaring through the expansive Arkham City - the maximum security "home" for all of Gotham City's thugs, gangsters and insane criminal masterminds. Featuring an incredible Rogues Gallery of Gotham City's most dangerous criminals including Catwoman, The Joker, The Riddler, Two-Face, Harley Quinn, The Penguin, Mr. Freeze and many others, the game allows players to experience what it feels like to be The Dark Knight and deliver justice to those confined within Arkham City. Batman: Return to Arkham is based on DC Comics' core Batman license and is rated PEGI 16. Fans can visit Facebook.com/batmanarkham for more information about the game. DC Entertainment, home to iconic brands DC Comics (Superman, Batman, Green Lantern, Wonder Woman, The Flash), Vertigo (Sandman, Fables) and MAD, is the creative division charged with strategically integrating its content across Warner Bros. Entertainment and Time Warner. DC Entertainment works in concert with many key Warner Bros. divisions to unleash its stories and characters across all media, including but not limited to film, television, consumer products, home entertainment and interactive games. Publishing thousands of comic books, graphic novels and magazines each year, DC Entertainment is one of the largest English-language publishers of comics in the world. Take a look at the first trailer for Batman: Return to Arkham, and stay tuned for more on this upcoming game.